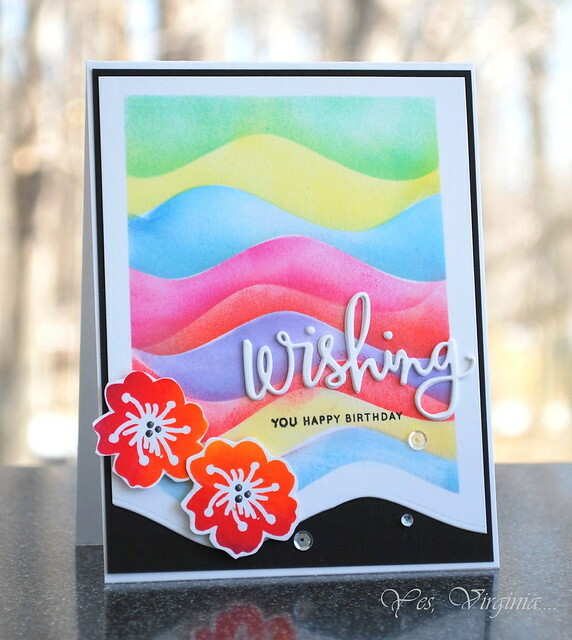 Stamping Patterns with MISTI--take 2 with a Video! Hello friends! 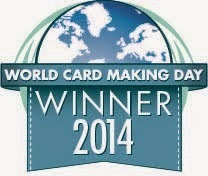 I have 3 cards and a video to share today! 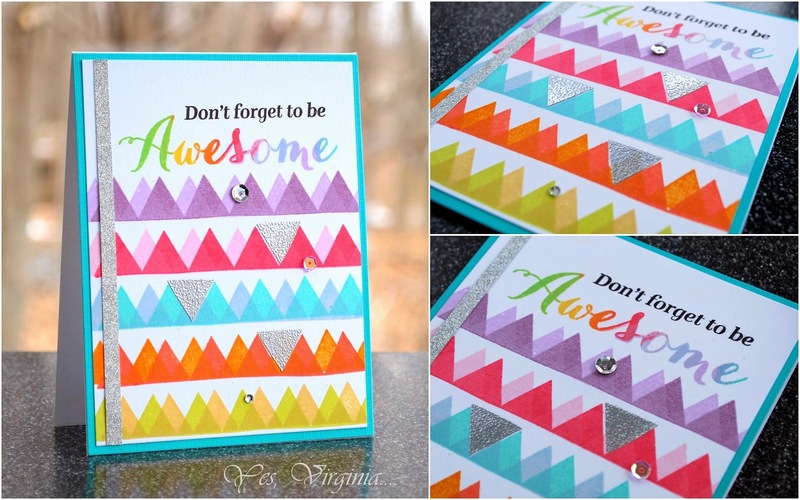 Previously I made this geometric card (see here) and was asked if I have a video to share. 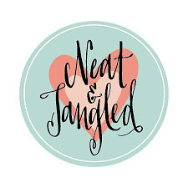 Today's projects are the result of playing more with MISTI and Rectangled and Triangled. I actually managed to make a video yesterday and you will get the idea how I stamped these patterns. I apologize for the poor explanation and use of grammar. You know that English is my 2nd language-wink! 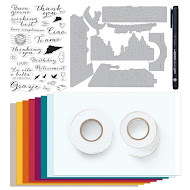 Note: all supplies are listed below via InLinkz. 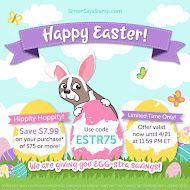 Click on the photo and it will take you to my favorite store. Hope you enjoy seeing my creative process and get inspired. 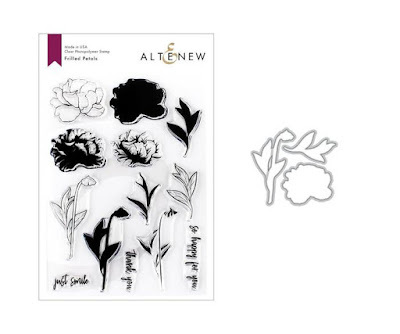 An (almost) Interactive Flower Card! 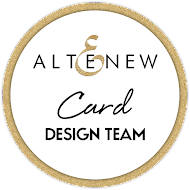 I am excited to share this card. It has a bit of an interactive feature, but it sure is easy to create. 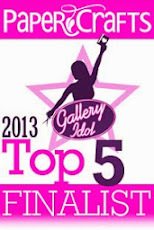 Enter Pretty Pink Posh Pick-a-Boo die! 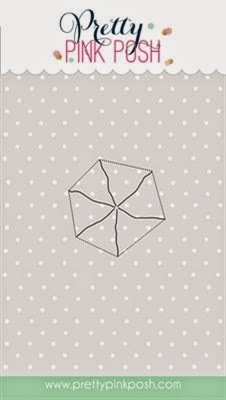 I decided to use double-sided (American Crafts) pattern paper to make it like a flower...I did stamp the flowers and stems (Penny Black). 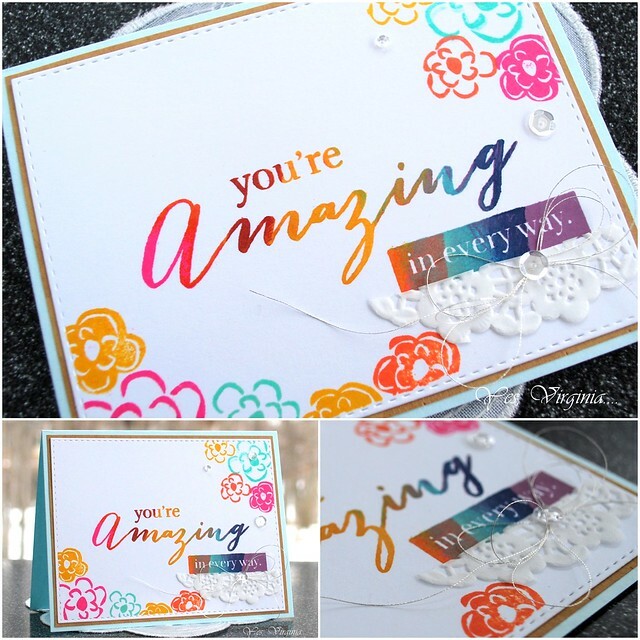 I stamped the sentiment on paper with Waffle Flower's "in Every Way". 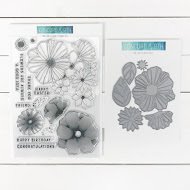 This is what happens when the flower opens up..
Supplies: In Every Way (Waffle Flower), Peek-a-Boo metal die and sequins ( Pretty Pink Posh), paper (American Crafts), flower/stems (Penny Black Stamps). I think you can insert a child's school photo or a message in it. That sure makes a great keepsake! 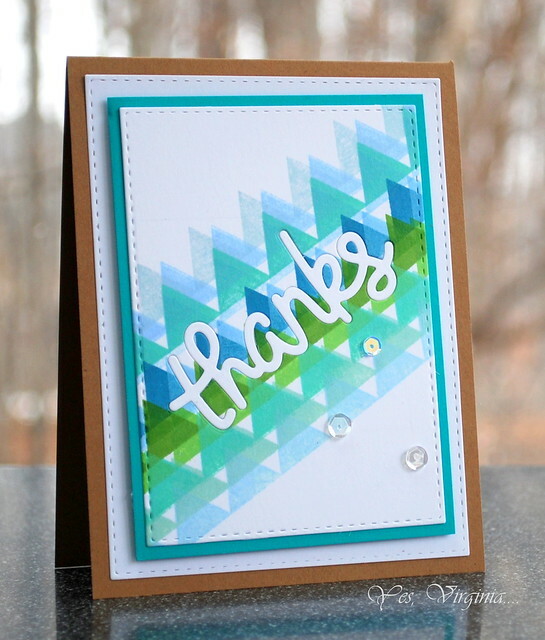 Geometric patterns can be all fun and artsy on cards, but to me, they can be a bit tricky to stamp. 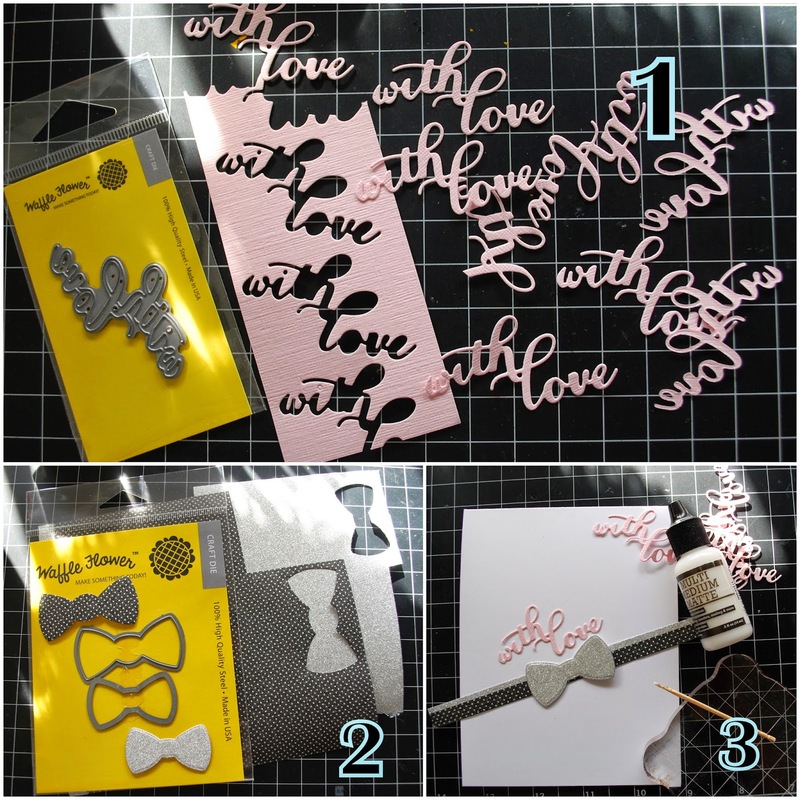 Well, fear not, here comes MISTI (Most Incredible Stamping Tool Invented) to the rescue! 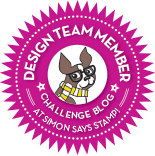 Normally, I would not be attempting to stamp a design that is too complicated. The sheer frustration and waste from stamping crooked lines would have taken away the joy of stamping! Rectangled and Triangled (Winnie & Walter). I thought the sentiment from In Every Way (Waffle Flower) is perfect for this. The handwriting in the sentiment was easy enough to be stamped in multiple colors because the letters are pretty spaced out. I do not like to have interruptions when stamping this type of cards. Thankfully I could do it all in one sitting without wasting any paper! 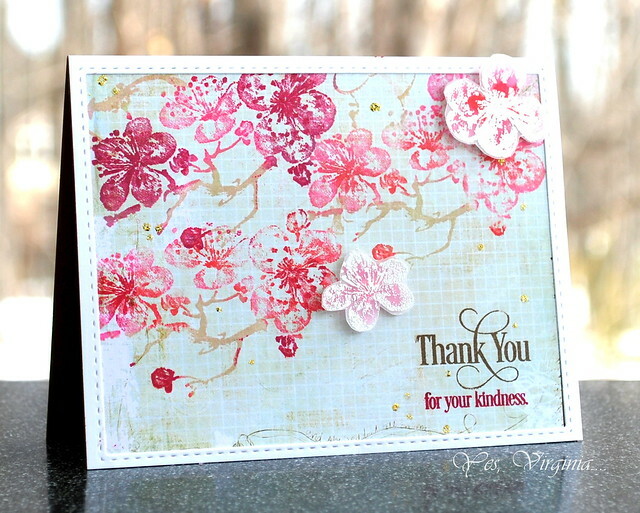 Edited: the inks that I used in this card are predominantly from Simon Says Stamp and Hero Arts. 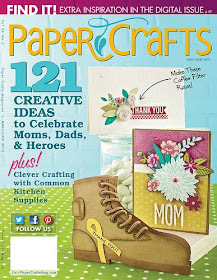 Those 3 silver solid triangles were embossed without using MISTI (yay)! Also, to keep the triangle theme going, I added 3 sequins-no more, no less. I have a few lovely floral and nature type of Penny Black stamps. I decided to be the match-maker in creating a nature scene. Again, I used MISTI when I created this card (SORRY... to those who don't have MISTI). You can totally do it without the MISTI. BUT it sure is fun to play with this so-called Cadillac version of a stamp positioner! 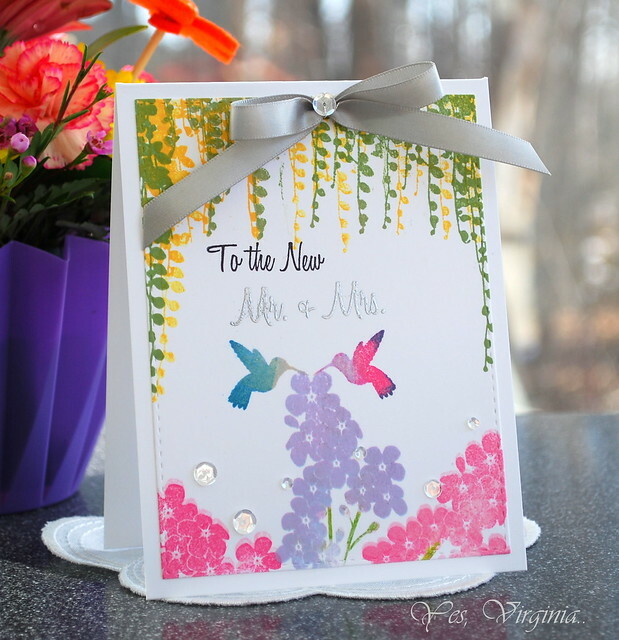 Notice the selective stamping and color layering (the birds, flowers and sprigs). After all the stamping, I embossed the Mr. & Mrs. in silver and added sequins and ribbons for the final touch. After all, it's a wedding card and we need to dress it up for this monumental occasion. This card is going to a young couple who are getting married in May! I am popping in to share a birthday card that I made when I first got my MISTI earlier this month. I was beyond excited to use MISTI and did the multiple inking on the blossoms. The inking was not perfect but I like how I layered the images. The look is soft and feminine..., plus it has some sweet elements (lace and sequins). 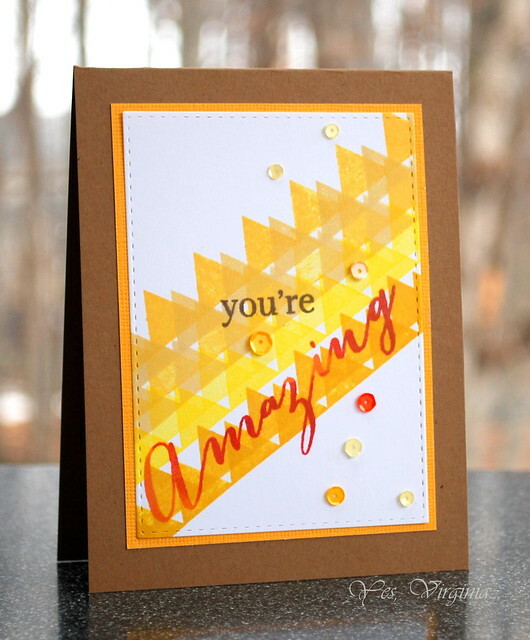 Do you like the stamping on the card stock with the Delicata Gold? I kind of like it!! Since it's Thursday, I am having a little Throwback Thursday share. This video shows how exciting it was to play with a Cuttlebug for the first time! Back in 2009, I visited my dear friend Karen in Michigan and I showed her how to work the machine... and Dr. John was being helpful. Hope this video makes you smile. or any of your first BIG toys? As they say now, it's a game changer! Since my card is all about coloring, I thought I would share this timely and interesting article "Color Therapy" with you. Coloring IS relaxing. 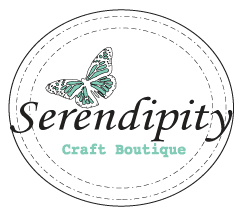 "...Colouring, claim the publishers, can lower anxiety, stabilize mood, increase attention span and serve as a sleep aid..."
So you can see why we stampers love coloring...For my project, I used Spectrum Aqua (Primary and Essential) to color. 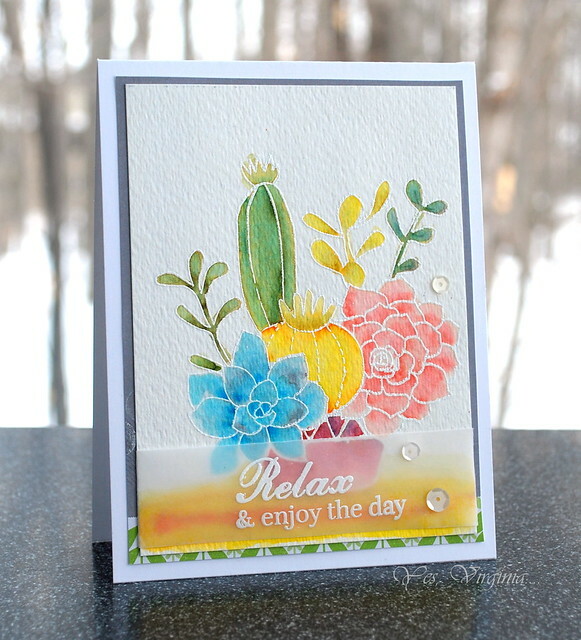 I used this lovely stamp set "Potted" from Waffleflower. It is perfect for coloring! I first embossed the image in white, then I colored the image like how I would with watercolor pencils/distress markers. I then used my TH Detailer Water Brush to go over the colors and add shading. These Spectrum Aqua markers are really fun to use as they are super juicy. So, that makes applying/blending the inks easy! Today's card was inspired by my dear friend Laura Bassen. I have been taking the online card class "Stretch Your Dies". As always, Laura shared a lovely idea on Day 6 of the class. Her execution is simply peerless. I am no Laura, but this card sure has every bit of influence from Laura. I was not thrilled about my color blending .... as you can tell, it started out GOOD from the top...then it all went down hill! I almost wanted to scrap it. BUT I decided to make "something" out of it... So here it is! I have been taking the online card class "Stretch Your Dies" this past week. There are so many great ideas and videos to inspire you. 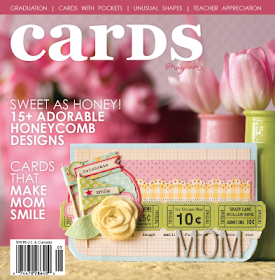 If you have lots of dies and have never tried the online card class, this is the one to try! You have lifetime access to it, so it's never too late to take the class at your own pace! showed a really cool technique using a flower/die combo set. 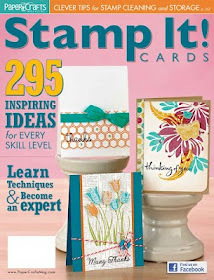 I love this Simon Say Stamp set "Flowers on My Mind" that came in the Simon Says Stamp March Card Kit. I don't have the matching flower dies (see here) and Copic Air Brush system. But that did not deter me from trying out the technique. 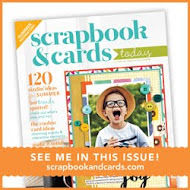 I used Distress Inks and fussy cut my stamped images to create the bold and colorful background. 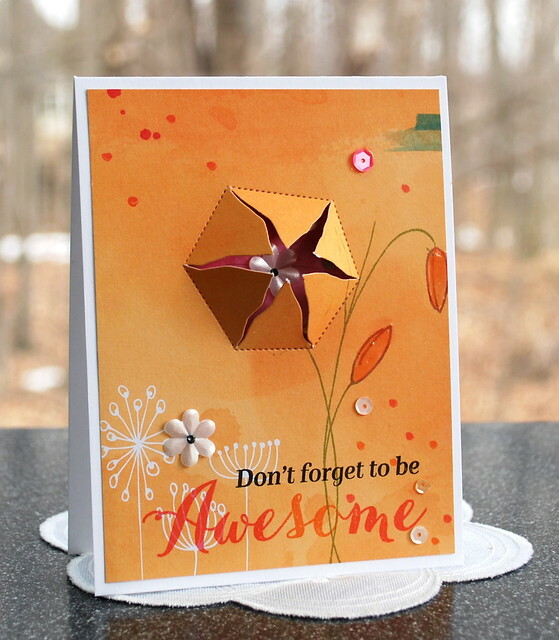 I then stamped the flower and embossed the sentiment (in WOW Embossing Powder) on vellum. To finish it off, I added sequins and strings-voila! 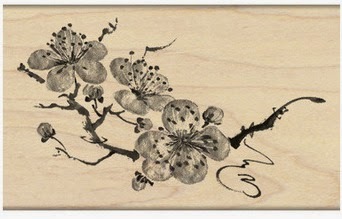 Lastly, I want to share the beautiful hostess gift that I received from hosting the Sushi party last Friday! Stephanie's friends were so sweet that they got me this cupcake flower arrangement! I am popping in to share a birthday card! I used my favorite mediums-alcohol inks and vellum. I paper-pieced the alcohol-inked paper on vellum, then I assembled them accordingly. It did take some time to get the inking right; then putting it back took a while also. But I did not mind it at all. 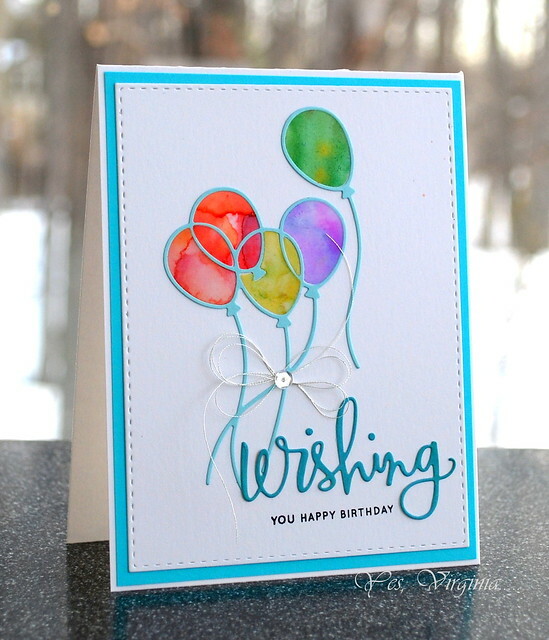 Supplies: Bouquet Balloons ( <---you can see my two other cards as samples ) , Stitched Rectangles, TH Alcohol Inks, Wishing Wafer Die (Simon Says Stamp). The vellum paper really is quite fitting for the balloons! I was in the mood for making a Spring-theme card today...I made this card THIS very morning. 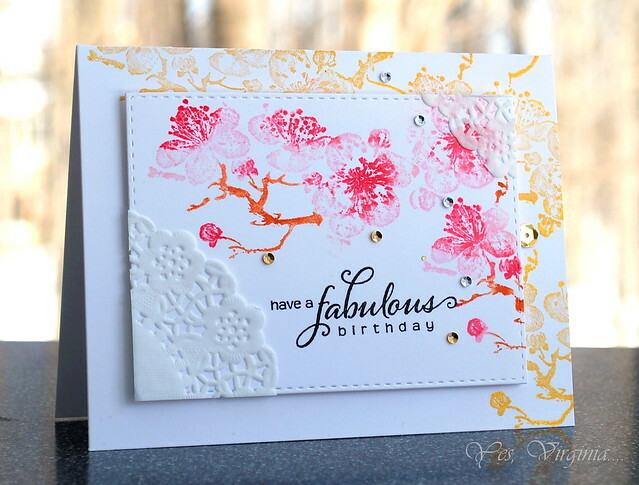 This stamp "Delicate Blossoms" from Penny Black is perfect for this. I chose to stamp on pattern paper (Prima Flower, Epiphany). It gives you the instant depth and texture that you want. Because I stamped it in CLING form, I can use it with MISTI. 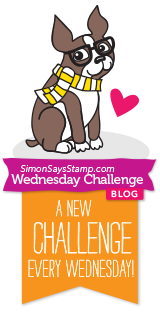 If you have a MISTI and want to use this stamp, you will have to take off it the woodblock in order to use it with MISTI. 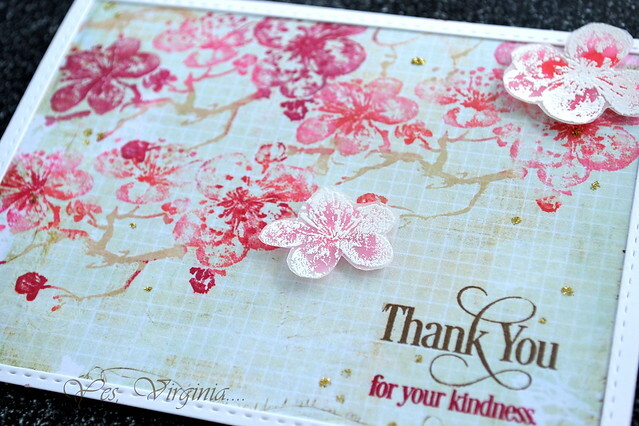 While I had so much fun stamping, I also added the embossed Blossoms on vellum paper. I love the light and airy effect the flowers give. With the multiple colors from inking up the small Memento inks, you can get really beautiful shades and hues. I did it in the similar manner as in my previous video. 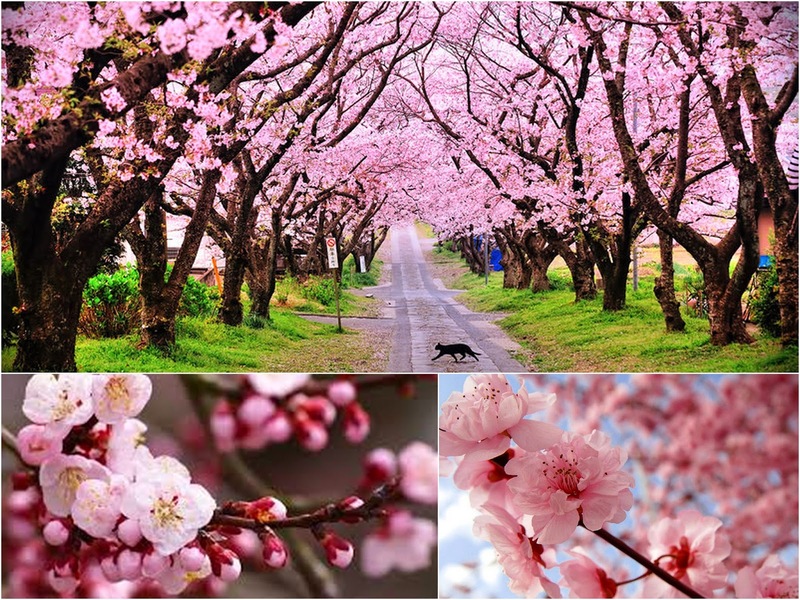 I found these images on the net and put them together. Now I can't wait to see my own Flowering Almond in my front yard. 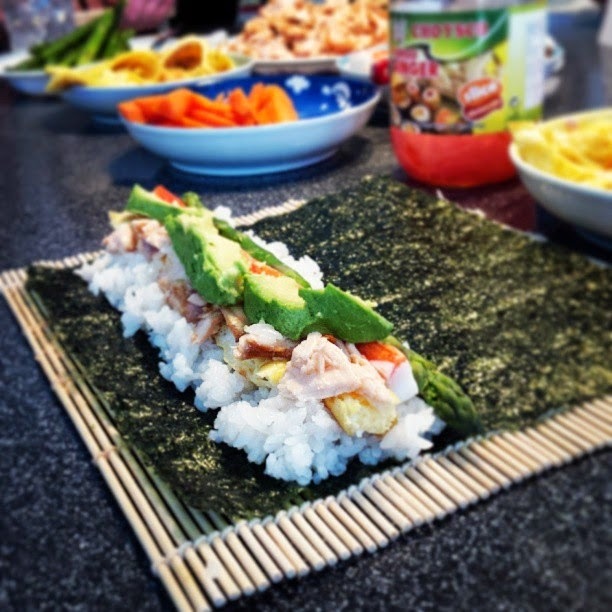 It's time for me to prepare for the Sushi party for Stephanie's friends tonight! Guest Design over Waffleflower with a VIDEO! 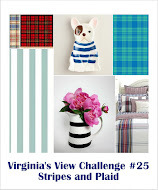 I am super excited to share my guest design work with you over Waffleflower blog! 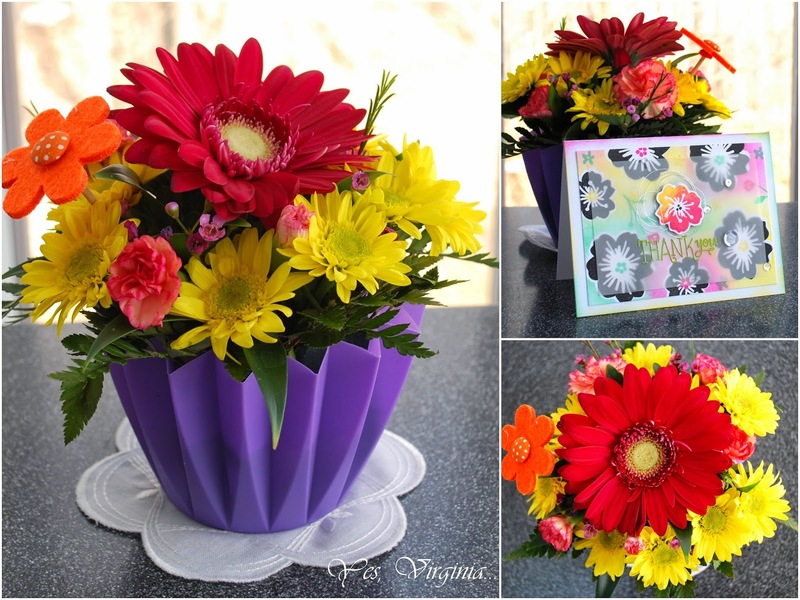 When Nina asked me to guest design for Waffleflower, I had to say yes! 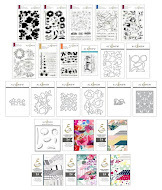 The stamps and dies that Nina and her team designed are so well thought out and detailed. And the images are super cute, too. Here is the Waffle Flower Crafts shop. 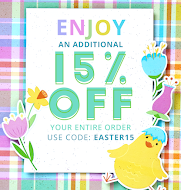 And did you know that WaffleFlower also came up with new, colorful and vibrant CHALK INKS (see here) ? First, I would like to share a video! Yup, another video! Here is my card in full view. Here is my 2nd card. 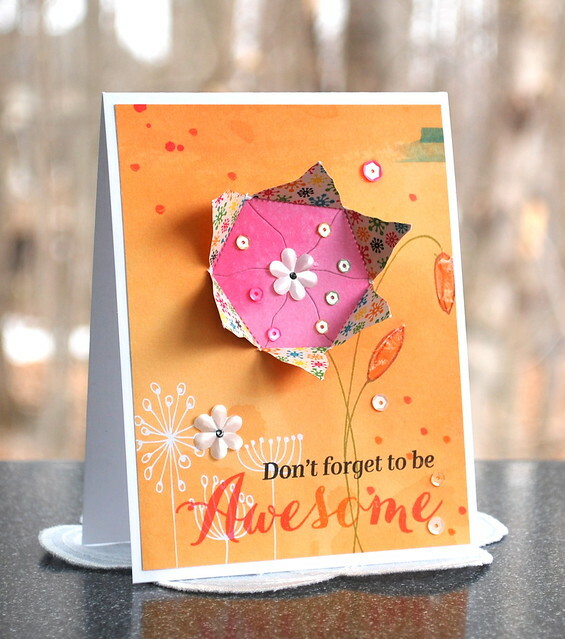 I also stamped a flower (from “In Every Way”) and added the bow for the extra pop of color and interest. 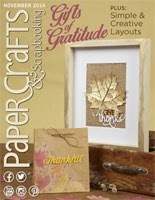 This card requires little stamping and I think anyone can create a card like this! 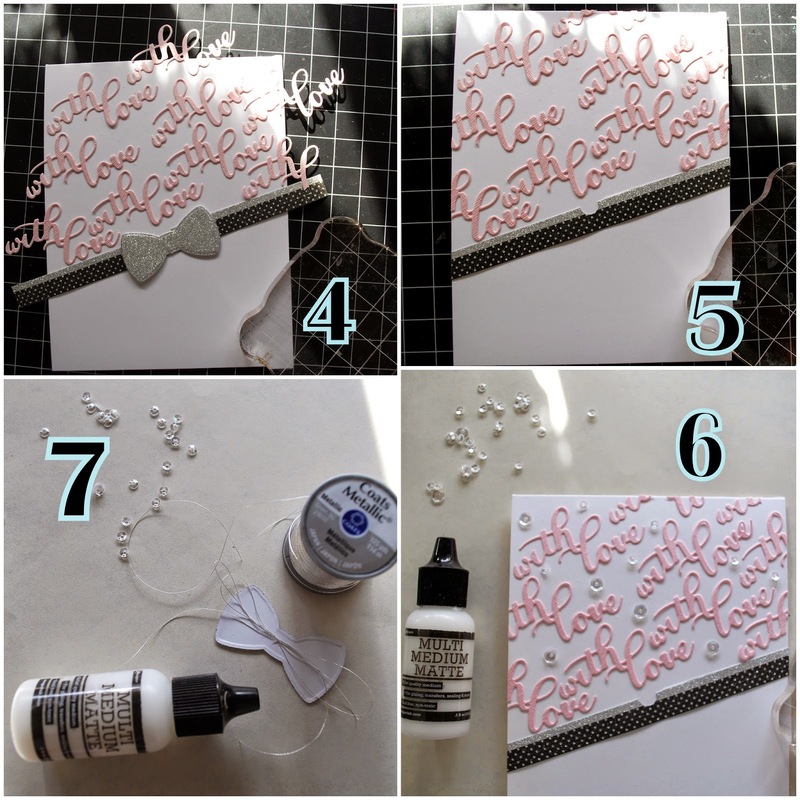 For the detailed instructions and process for my 3rd card, please visit Waffle Flower Blog. Feel free to LIKE and comment in my You Tube channel here. I am still learning how to make better You Tube videos. I found myself mumbling in the middle of my video taping (LOL). I. will. practice. Thank you, Nina, for inviting me to do this guest design. As you can tell, I had a blast!